Chile known for growing good amount of fruits which are exported worldwide, has decided to tap the huge Indian market. The Chilean fruit industry along with the collaboration of the Embassy of Chile and the Nation’s commercial trade office – ProChile, has announced plans to support the growth of Chilean Kiwifruit exports to the Indian fresh fruits market at a press conference held today in Delhi. This press event was attended by Master Chef Sanjeev Kapoor and Celebrity Nutritionist Kavita Devgan. Chef Sanjeev Kapoor explained culinary usage of Kiwifruit and how it can be a part of our daily diet. Celebrity nutritionist Kavita Devgan explained the extra ordinary benefits of Kiwifruit and its role in building immunity against some of the major illnesses. India has emerged as one of the fastest growing markets for Kiwifruit. This is primarily due to the Indian fruit market’s demand for exotic fruits that has seen an upward trend because of a prospering urban class, an enhanced exposure to the cultures of different countries, and a rising demography of health-conscious people. According to the World’s Top Exports report 2018, Chile was one of the top 5 countries in the world with $188 million kiwifruit exports in 2017. India imported 5,309 MT of Chilean kiwifruit in the 2017-2018 season, i.e. 59% more than in the previous season, Chile has 50% advantage in tariffs compared to other countries that export this fruit to India. The Indian Government accorded this to Chilean kiwifruit in 2017 under a bilateral agreement. To implement the promotion campaign in India, the Chilean fruit industry has selected SS Associates, a Gurgaon based food marketing consultancy firm. Sumit Saran, the Director of SS Associates, said: “Our company is proud to have this opportunity to launch the promotional campaign of the Chilean kiwifruit in India. We believe that we will reach the most demanding consumers with specific promotions, through actions in the retail market and various media. 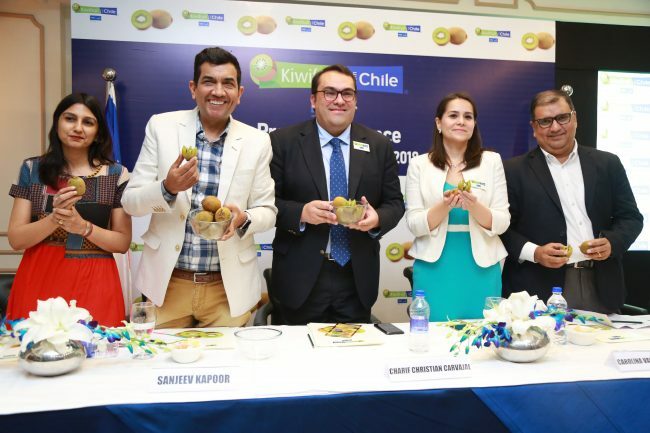 We will have a positive impact in increasing the penetration and knowledge of Chile’s kiwi exports.” The campaign is also being supported by three leading fresh produce importing companies from India – Aayush Impex, IG International and NGK Trading.